For those that are fortunate enough to have acquired significant wealth. There is a need for estate planning advice. The process starts with the selection of a good estate-planning attorney. Estate planning is a very complex field and most financial advisors are not lawyers. Establishing a relationship with an estate planning attorney and working towards the established goals of each client is essential to the wealth preservation process. By meeting with the client and assessing their needs and goals, an estate-planning attorney can help architect and structure an effective wealth transfer strategy. In addition to educating the client, the attorney should be able to educate the financial advisor as well. Some estate issues can be very complex, so part of the attorney’s role is to make sure all parties have a grasp of the issues in order to make sound decisions that are in the client’s best interest. Your CPA or tax advisor provides one of the most important services that allows an individual to effectively compound and build wealth over time. Minimizing taxes and keeping more of what you earn is your CPA’s expertise. They understand the tax environment better than anyone else. We want to establish a process that allows us to team-up with your CPA and other advisors to better understand your overall financial picture. Understanding each individuals specific tax circumstances allows us to implement investment strategies that help minimize taxes and reduce unnecessary investment costs that are related to your financial plan. Asset placement and location across your various account types, tax loss harvesting opportunities, and other sensible tax planning ideas can go along way when effectively implemented in allowing you to compound wealth over time. We want to understand this process as much as possible and work with your tax advisors and other professionals to maximize these opportunities. Sometimes the very simplest of things can go a long way in helping you meet your financial goals. Budgeting and cash management lay the foundation for an effective financial plan. Understanding how you use your current and future income streams allows you to manage your financial plan in a way that ensures that you make sound decisions related to your lifestyle. Budgeting is the cornerstone that prepares you to navigate short-term obstacles while balancing long term goals. 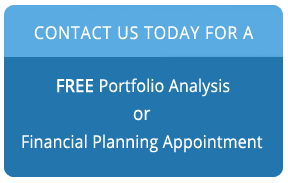 We will work with you to help you get a better understanding of exactly what happens to your cash each year so you can effectively manage your assets in accordance with your long-term goals.